Just when you thought it was safe to go back into the theatre foyer, we bring you a third compilation of silly adverts for Fairy-tale and pantomime services and products. This audio CD holds a total of 17 silly ‘radio’ adverts and 7 ‘tongue in cheek’ announcements to your audience! TLC Creative bring you the sequel to the sequel of the CD that no-one wanted to hear, in conjunction with the vocal majesty of Brian Two. Supplied in CD case with cover. We sell any cow.com – The website for bovine sales. Cash for Golden Eggs – Get hard cash fast! ‘5 minutes to curtain up’. ‘3 minutes to curtain up’. Short Interval: ‘Please come back’. Also available are two further CDs: Four and Twenty Adverts and Four and Twenty More Adverts. 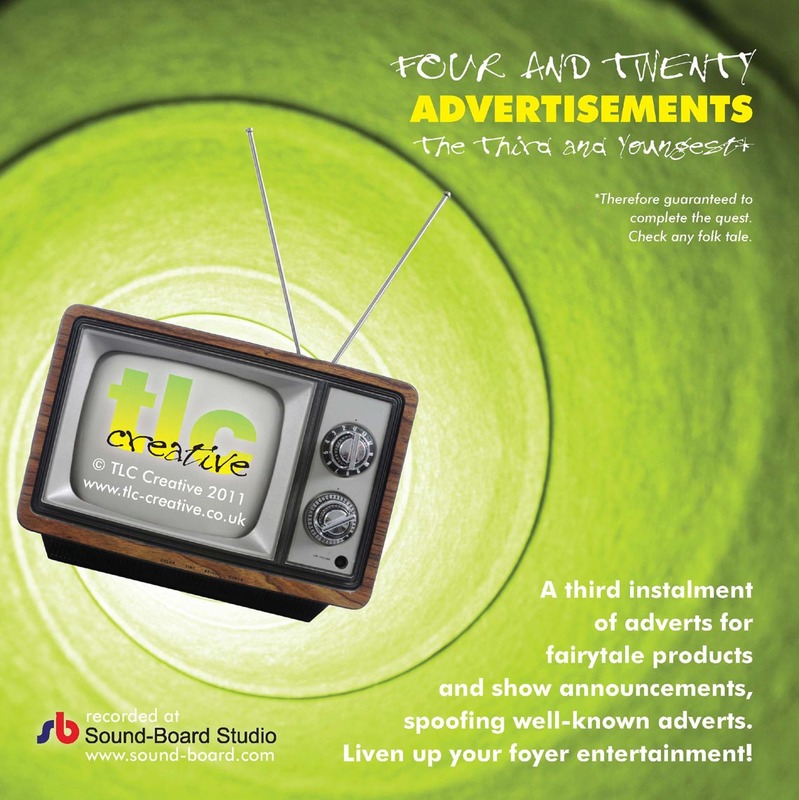 We also have printable silly fairy-tale adverts to use in your show programmes with our spoof adverts.